Ragnar? Have you heard of it? 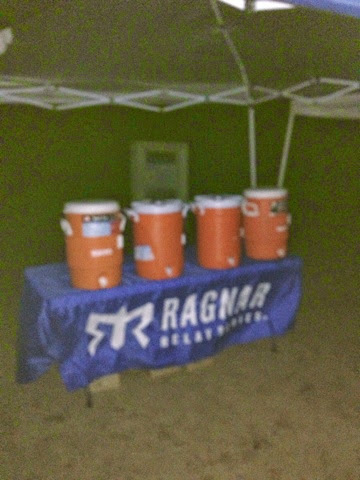 From their website: Ragnar is the overnight running relay race that makes testing your limits a team sport. I have never run it, have you?! 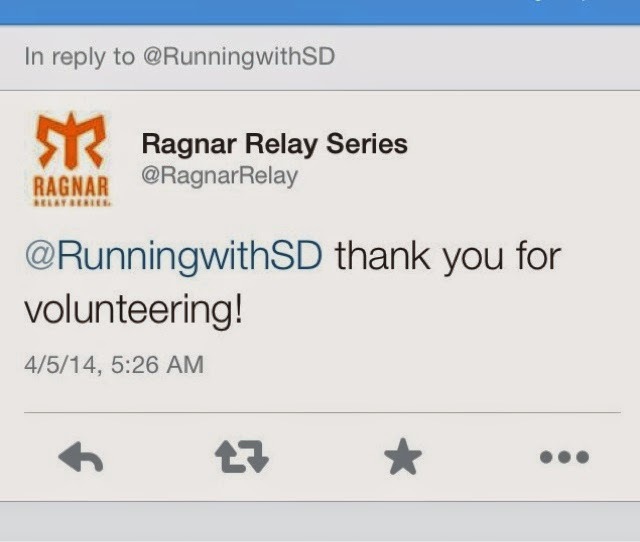 They have many different versions including one in Vegas and this one, SoCal Ragnar from Huntington Beach to San Diego. 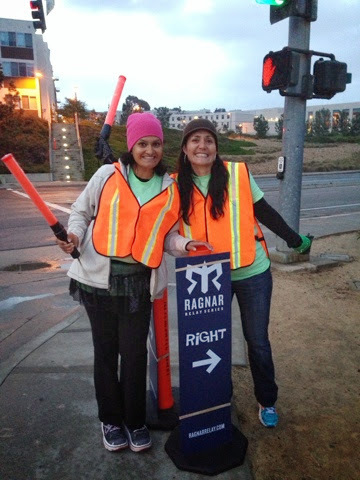 Sparkle Athletic requested volunteers for Ragnar and since I am local to San Diego, jumped at the chance to experience this event. There are 36 exchanges for teams to complete in a relay type race. Teams can be made up of anywhere from 2-12 runners splitting up the exchanges between them. So I had to decide which exchange would work for me and my schedule. 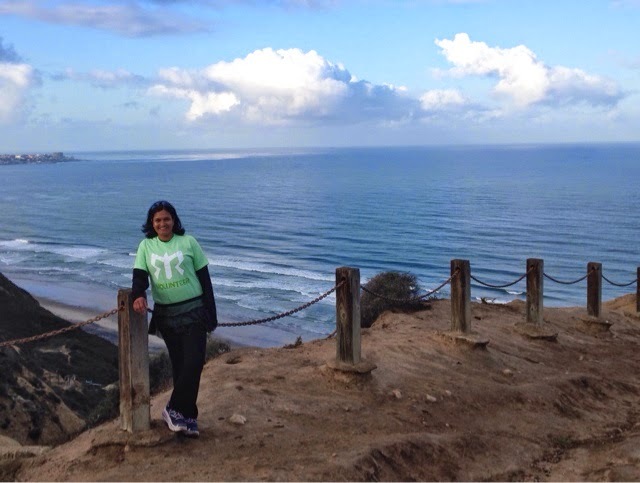 My very Ragnar experienced friend J-Mo said the sunrise was gorgeous at the Torrey Pines Gliderport AKA Exchange 30. And she said she would be volunteering too and we decided to set out on this adventure together. Our shift? 2:00 a.m. to 7:30 a.m. on early Saturday morning so we decided to have a little bit of fun with it. 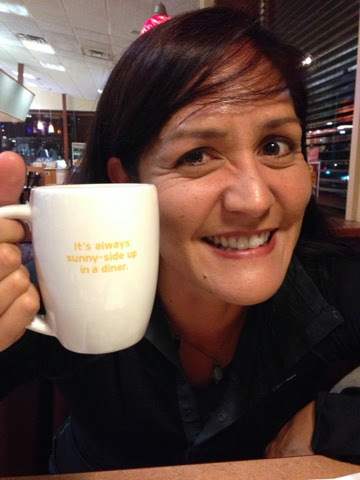 We met at the Denny's in Del Mar at 12:30 a.m. and the wonderful Earl helped us. Nicest man ever! 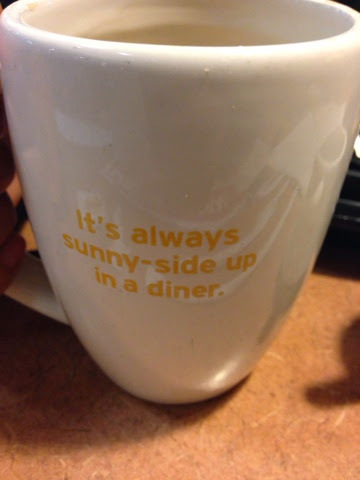 A little smile on a mug! The Wonderful and Magnificent J-Mo! After stuffing our faces with "food" and coffee, we drove over to the Torrey Pines Gliderport which is basically an empty dirt lot. 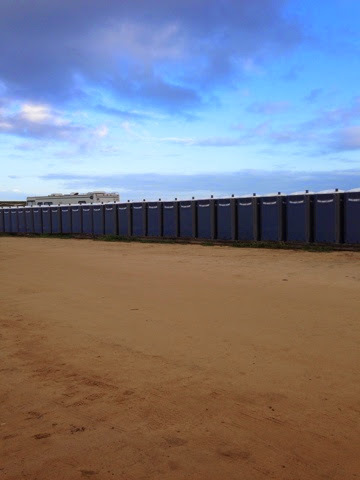 We knew we were in the right place by the loads of port-a-pottys! 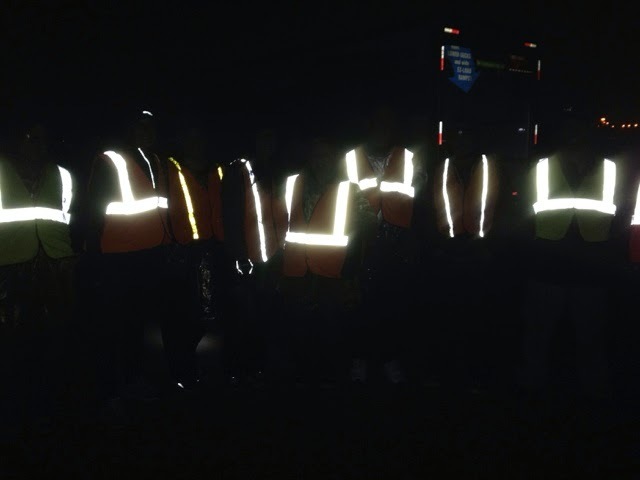 We donned our reflective gear and warm duds and prepared to take on our tasks. Here are the other volunteers! Ha ha! We were very reflective! 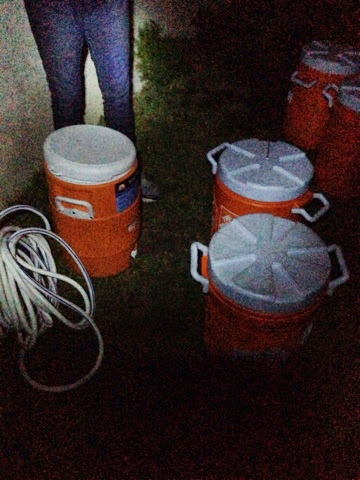 My first task was to work with the wonderful Amie and fill these jugs with a spigot. Problem? The hose you see DID NOT WORK! At all...we tried everything and had to resort to filling them directly from the spigot. But as you can see, Amie and I got our job done and helped carry the jugs back down to the Exchange 30 "village." Amie, Me in my Sparkle Athletic skirt and J-Mo in our spiffy green Volunteer shirts! Then we got our assignments for the rest of the morning. 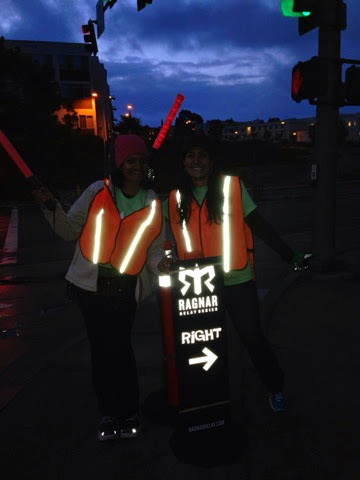 from about 4:00 a.m. to 7:15 a.m., we were about 300 yards away from the exchange directing runners into the Exchange and directing runners out. We also had the pleasure of reporting to those on site via walkie talkie the team numbers so that the rest of the teammates could run their runner in and the next runner could prepare. This is the job you want! 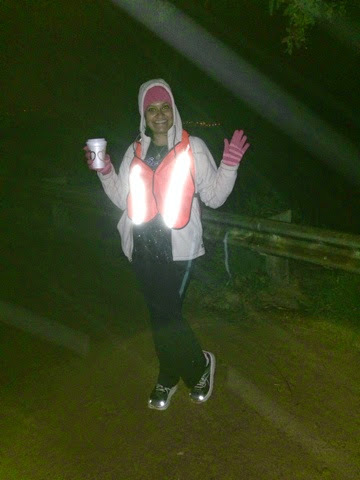 It was so much fun cheering on all the runners! This was our Exchange leader and coordinator, Amanda. She was so enthusiastic and thanked us for being there. She delegated tasks and kept us aware of safety! She was awesome and asked us to do it again. Look at the reward for the runners who made it to Exchange 30! Amazing! These are the times when I am so glad to live where I do! America's Finest City indeed! I may be a little biased but I think Exchange 30 was the best and if I don't run So Cal next year, I will definitely consider volunteering again. At the same spot with my J-Mo! And look who appreciated my sleep sacrifice! Yup! 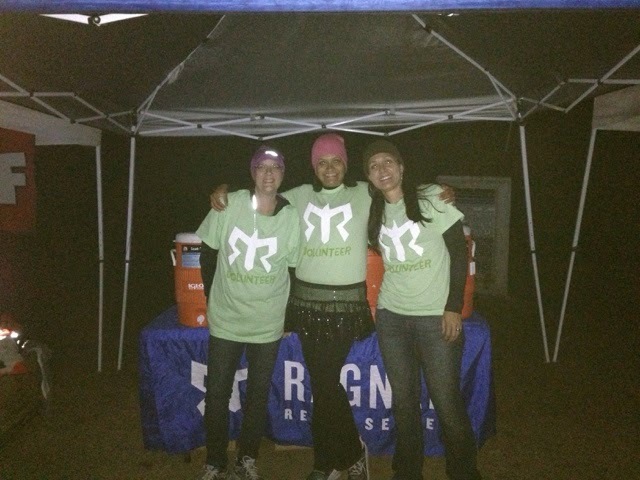 Ragnar themselves. So all in all, a VERY rewarding experience. 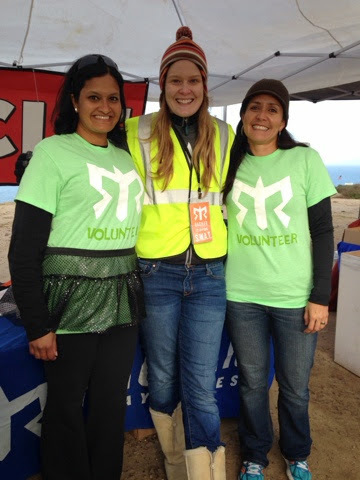 Have you ever volunteered at a race? Which one? What was your experience like? 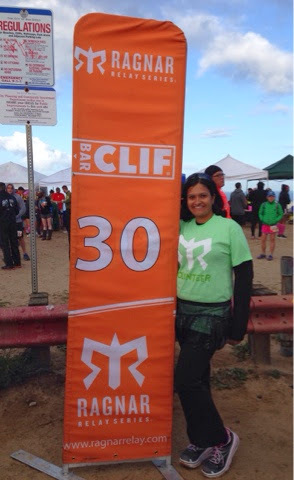 La Jolla Half 2014 Recap! A Quickie at PT and a Sick Kid! How does a Non-Runner become a Runner? My First GIVEAWAY: Tutu Much Excitement!